Located along Changan Middle Road, E Home ApartHotel offers comfortable apartments with free wired internet, washing machine and well-equipped kitchen. Big Wild Goose Pagoda is a 10-minute walk away. 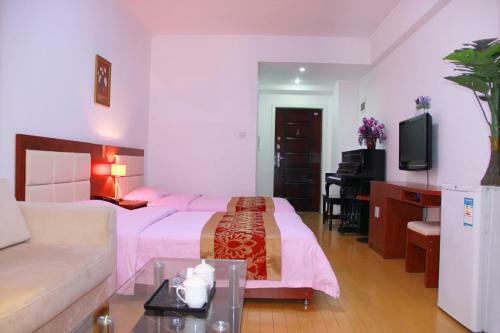 Featuring free WiFi and air conditioning, Shenzhen E Home Aparthotel is located in Shenzhen. Shenzhen Convention & Exhibition Centre is 1.